As many of you know, I love butter. Not just ‘like’ butter, but LOVE butter. It is actually my go-to snack. I smother it on bread, croissants, rice cakes, anything… And because of this, I am a butter snob. 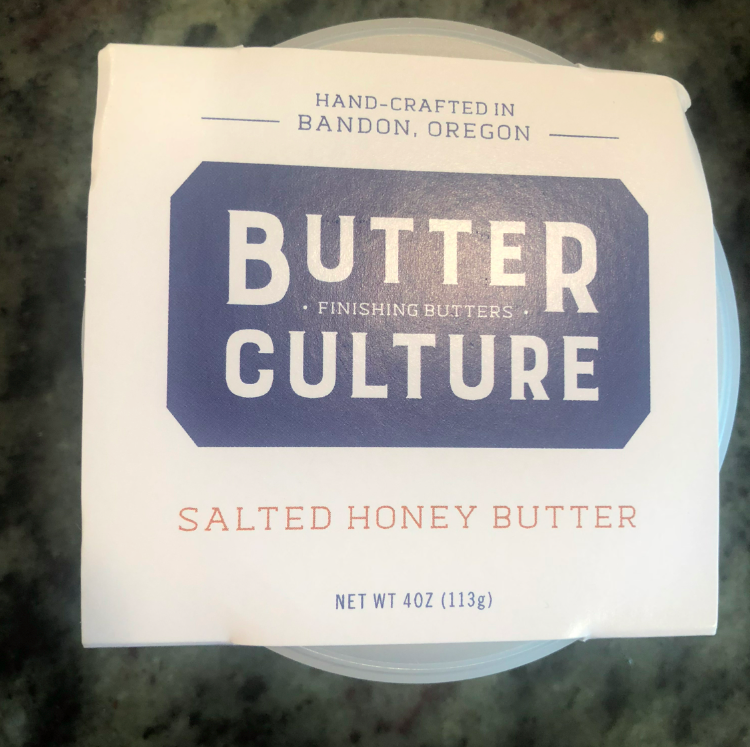 And here in Oregon, the land of hand batched, artisan everything, there is GREAT butter. 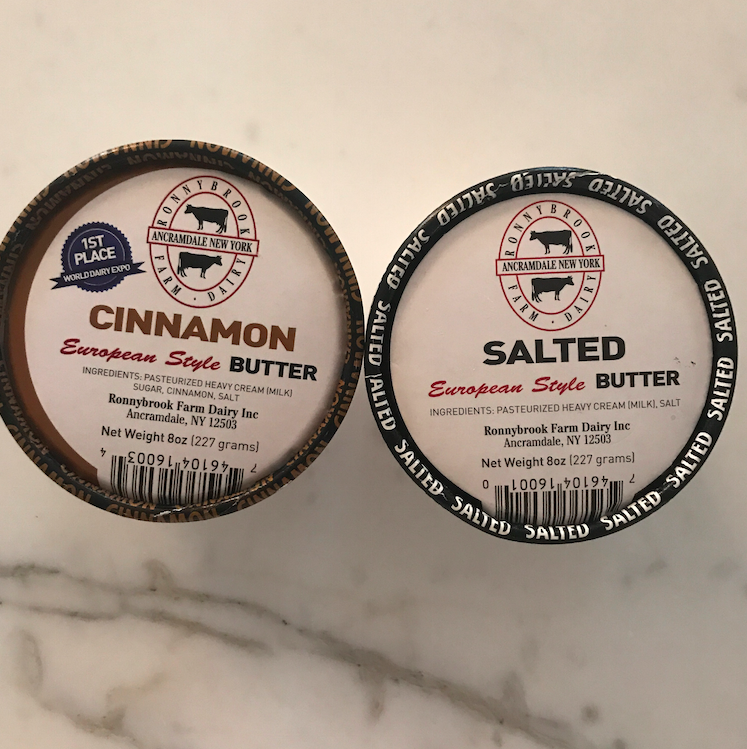 Thanks to Butter Culture, I am now eating more butter than ever. Butter Culture. Not only does it taste great, but the packaging is spot on. Every September when I move back from the West Coast, I make a list of Fall goals. Every year, I say that I am going to go to the Farmers Market to get fresh, local produce, fruit, and any other random goodies. And yet, every year, I fail miserably and never make it to one. Way back when, Good Eggs, existed. But that was short lived in NYC and didn’t last long (and it didn’t deliver to the Upper East side of Manhattan). So I was thrilled when I randomly came about (via instragram stories, nonetheless) OurHarvest. 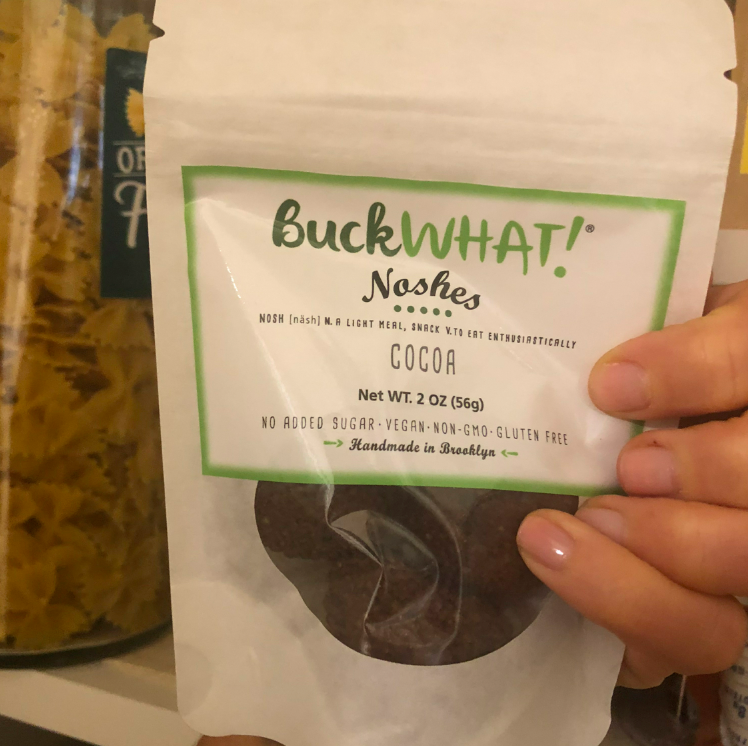 It is an online New York farmer’s market and gourmet grocery with local, farm-fresh, organic ingredients in Brooklyn, Manhattan, and Long Island. It has existed in NYC since 2014, and even though I am late to the game, I am so thrilled to have found it NOW! IT IS AMAZING bold italic exclamation point. It is coined Manhattan’s Farmers Market, and I get it. It is a farmers market that delivers throughout Manhattan. GENIUS. 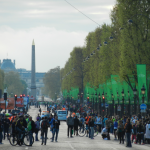 The prices are good, the selection incredible, and the products themselves are the best. And the online platform is super easy, beautifully laid out, and great to work with (unlike instacart which I hate with all my might). There is so much to choose from and everything is fresh and local. You can get meat, fish, dairy, produce, fruit, pantry items, baked goods. Anything and everything. I can’t get to a store without getting a fake sweet. Meaning, I love dessert, but want to curb my sweets so anytime there is a date sweetened goodie, I am a sucker for it. One of the random things I love about the New Year is having new calendars. I am still old school and carry around a calendar planner in my purse (along with an electronic copy on my phone / computer). I also have a pretty calendar displayed on my desk. 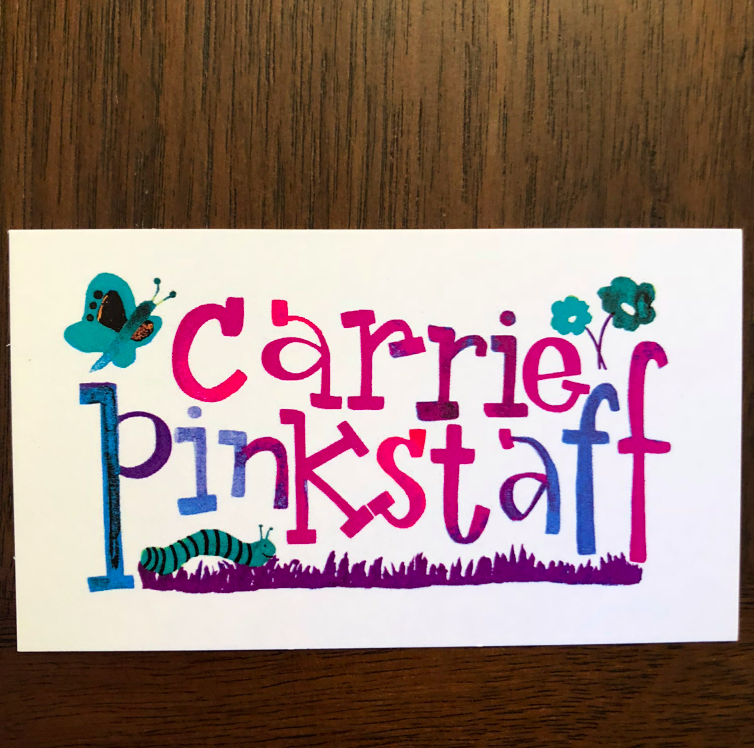 For the past 2 years, my “pretty desk” calendar has been created and illustrated by the childhood best friend of my sister, Carrie Pinkstaff. Carrie groups the months by seasons and has pretty, whimsical and fun pictures to go along. Last year, the seasons had a floral theme. Hands down my favorite food product is “butter.” YUP, butta. Love it. LOOOVE it. Like an unusual amount — I can actually eat it by the spoonful if it is good butter. Sounds gross, but good butter is better than anything. European butter is my favorite, but in the USA, I used to settle for Kerry Gold Butter. That is, until I discovered Ronnybrook Butter, and it is to die for. Heaven. Sweet and salty. The perfect combination. This past weekend, we went on our annual mini-reunion with close friends from business school to Sonoma. It is a tradition I love and look forward to each summer. We had a jam-packed weekend (see the blog on Wednesday for a recap) full of lots of laughter, adventure, and hang out time. Coming to Sonoma from Oregon, I decided to bring the hosts a little bag full of Oregon goodies. I want to give myself a pat on the back because it is cute, well thought through, and useful. Thank you, thankyouverymuch. 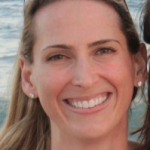 (Thank you, Kimmers!) Here are the details. 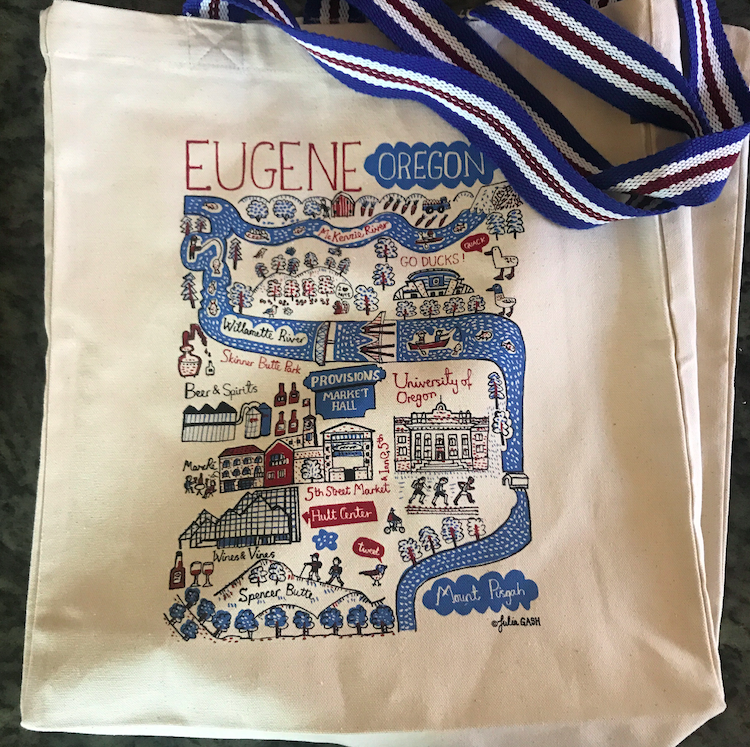 A Eugene little tote bag, stuffed with all small goodies. You can never have too many of these tote bags — especially if it has an extra special strap, like this one. Since I got a heads about a new butcher in the neighborhood, I have (oddly) spent a lot of time browsing their website and visiting their store. Located on 76th and 3rd avenue in NYC, they are exactly what I have been looking for: high quality meat from local farms. They have beautiful honeys, jams, yogurts, and spices… along with raw meat and cured beef sticks and beef jerky. 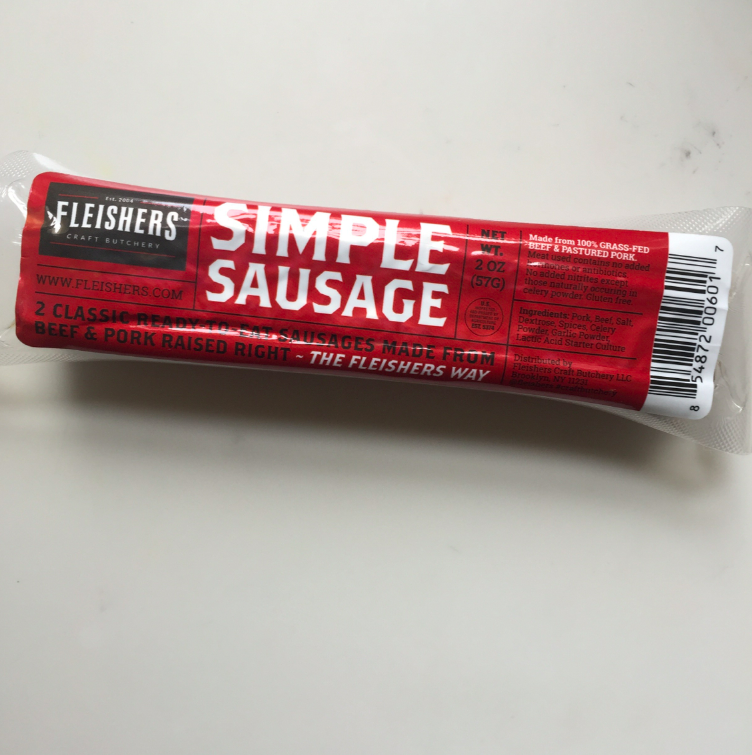 Simple sausage. Beef and pork raised right. I am a big believer in having quick-easy-access to coffee. Sure, I love my morning hot coffee in the morning (but not if I have to make it — thank you, Babers, for prepping the coffee maker every night). But after my first (of two) cups of coffee, I want something quick and effortless. I am also a coffee snob which makes it that much more difficult. 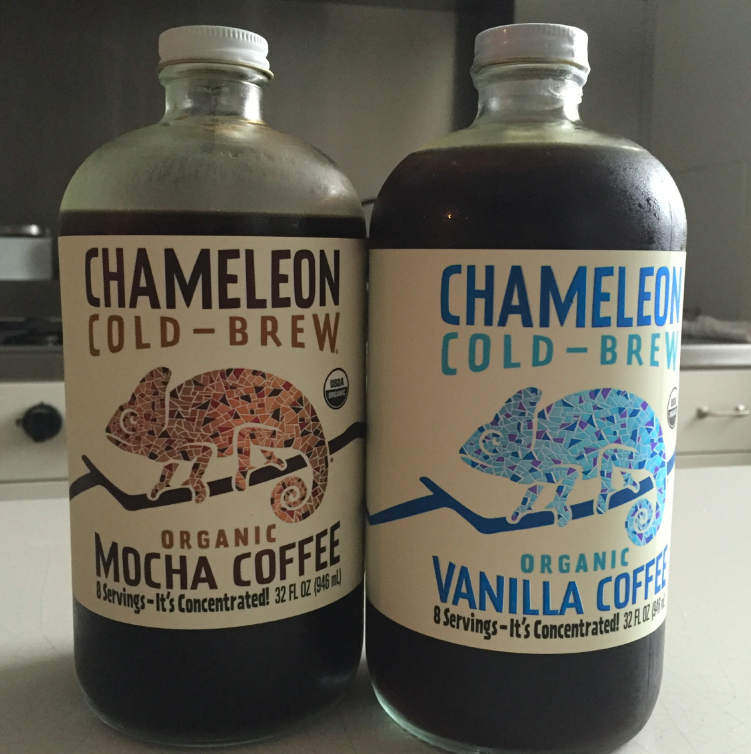 Thanks to Chameleon Cold Brew Coffee, I get everything I want just by opening up my fridge. Big jugs of coffee. Actually they are coffee concentrates, so they can be diluted. It depends on how jacked up on coffee you want to be. 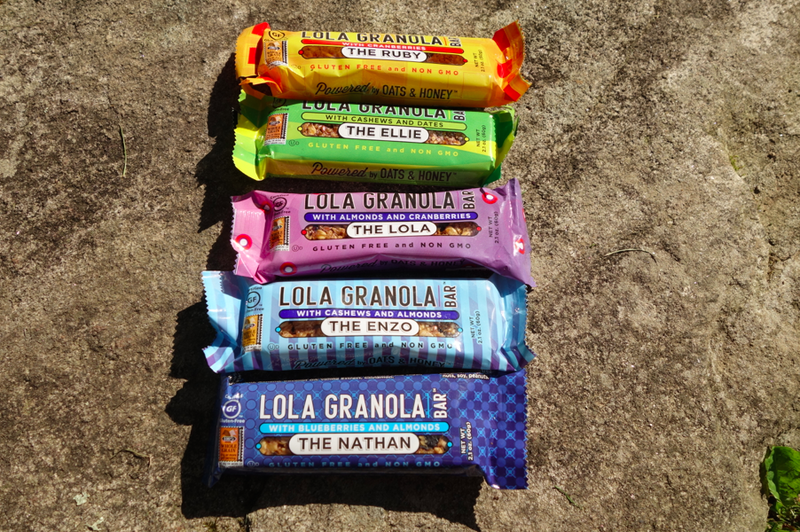 Currently on a granola bar kick (as witnessed a couple weeks ago here), here is my latest granola bar obsession: Lola Bars. 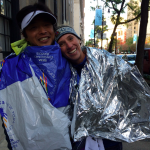 Yes, I am on a roll with granola bars! 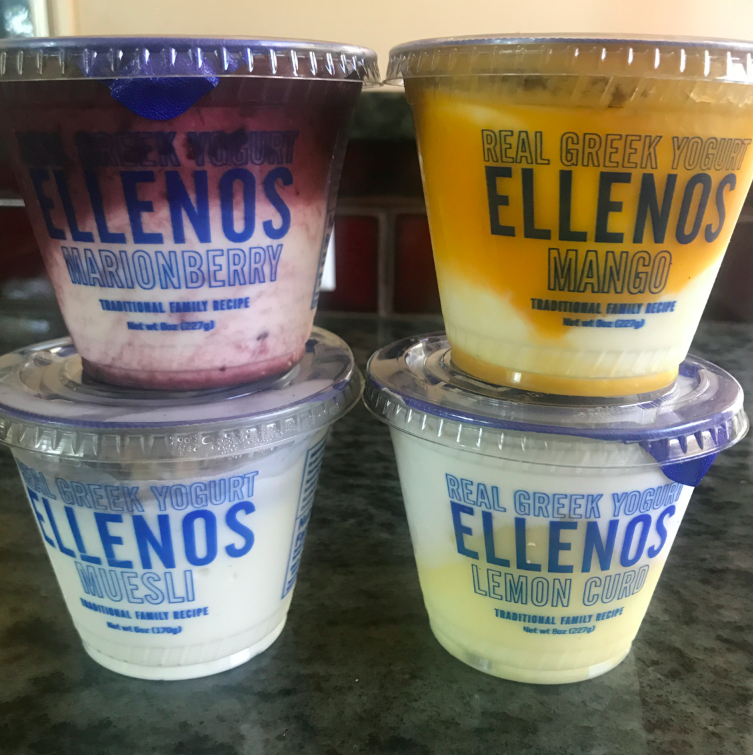 5 flavors. Taste the rainbow. My family loves cheese — cheddar, soft , fancy, creamy, stinky, messy, and Mexican. I know, right? Who knows about Mexican cheese? Definitely not the French. But it is delicious and perfect for everyday eating. 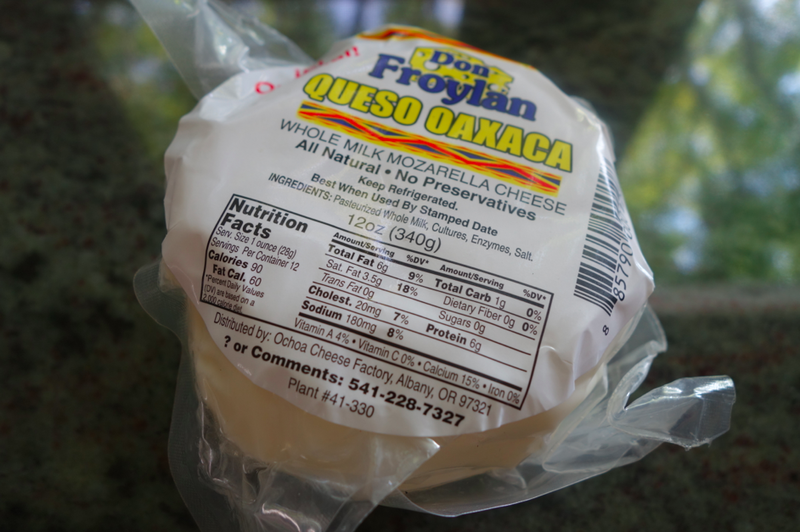 Our newest type of Mexican cheese is the “Oaxaca.” It’s similar in looks and flavor to queso fresca, and also has a string cheese like quality to it. Basically it is a saltier and more flavored version of string cheese, rolled up into something equivalent to a ball of yarn. 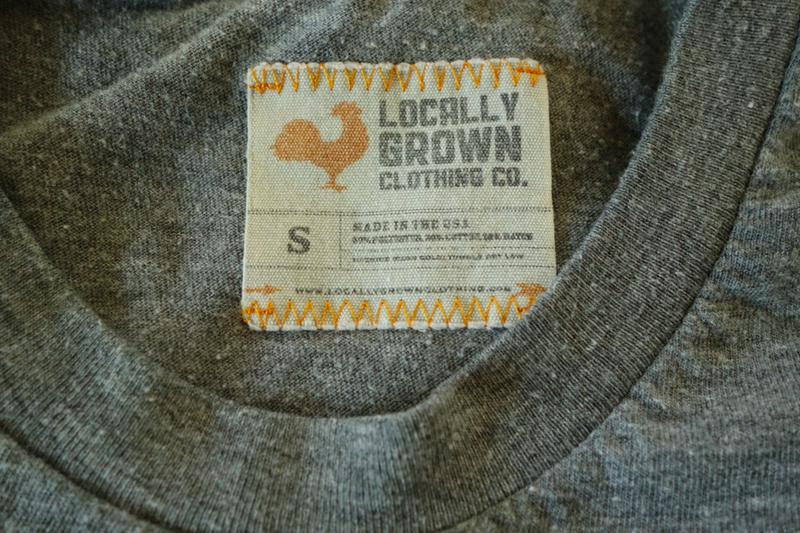 A proud Oregonian, I was thrilled to find these Locally Grown tee shirts last summer at a local Eugenian store, Plume Red. 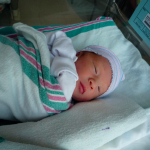 They come in multiple sizes — even for little ones. A matching family of Locally Grown Oregon shirts! Pinch-cheek-cute! 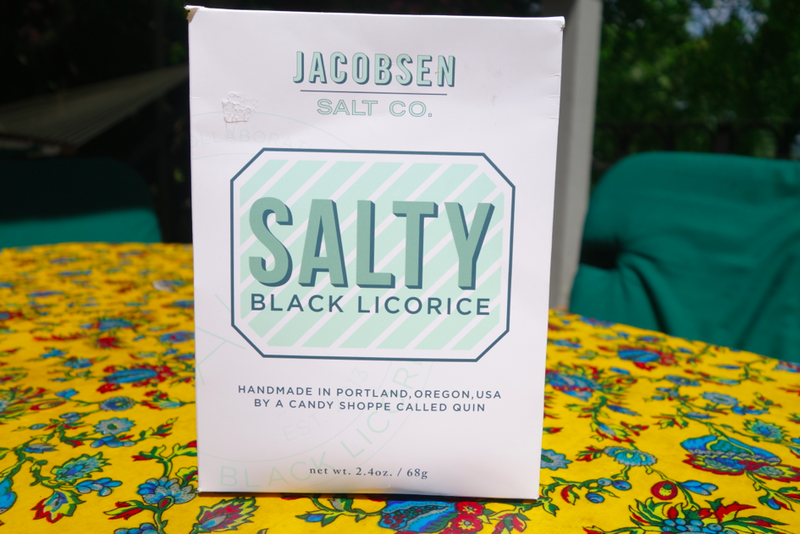 Enamored with anything Oregonian and delicious, I recently stumbled upon (in my mother’s kitchen) the most INCREDIBLE, tasty unusual, and delicious treat, made by a Local Company, Jacobsen Salt Co. A little background: my parents met and married in Stockholm, Sweden, 42 years ago. I also lived there as a 5 year old for a year. Soooo, I feel a connection to anything Swedish (add that to my long list of special connections: Oregon, Paris, hippy, etc..) One of the many Swedish food loves is black licorice, and especially salted black licorice. It is definitely an acquired taste, but if you do like it, you LOVE it. And my mother is royally obsessed with black licorice and stocks up on it when in Scandinavia. So it was a treat for her to find her favorite candy made by a local company. Hip hip hooray! 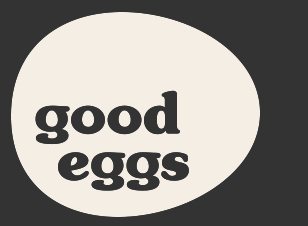 Good Eggs is the local and homegrown version of Fresh Direct. Founded in San Francisco by two tech entrepreneurs, this company’s mission is to grow and sustain local food. Currently in just a few cities (San Francisco, Brooklyn, Los Angeles, and New Orleans), Good Eggs connects people to food by giving you information and history on the producers. It is a modern day farmer’s market that delivers (or you can opt to pick it up). 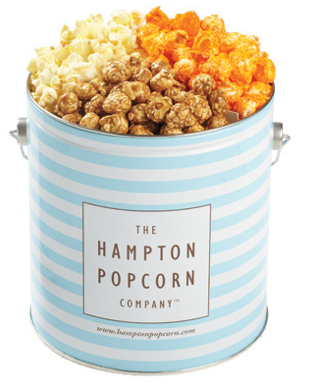 Truly a sugar addict, my heart and mind fell in love when I was recently gifted a tin of Hampton Popcorn. I had NO IDEA that popcorn could taste SOOOO good. A nibble here, a handful there, and in no time, the gallon tin was almost empty. I can’t even begin to explain the deliciousness of this guilty pleasure. Classic, classy blue and white tin. 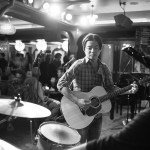 With HEAVEN inside. Need a present for the upcoming holiday? Want to support small stores with beautiful products? Then stroll by, Strolby, an online shopping site focused on items sold in Brooklyn (New York) but sold on one platform to people across the country! 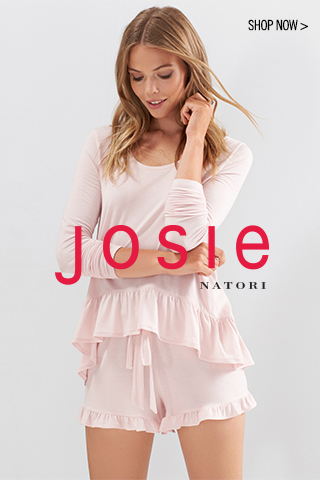 The site, which is aesthetically appealing and unique, helps local small shops with truly beautiful and original items reach big audiences (so the neighborhood can still feel small). 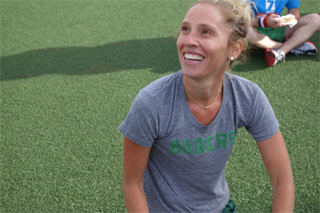 Ladies and ladies, another great post from contributing editor ALI BERLIN and By Moms for Moms (a service, especially for moms, bringing fun, food, fashion, and more) ! Take it away, Ali! Jocelyn and Jodi, the ladies of By Moms for Moms.